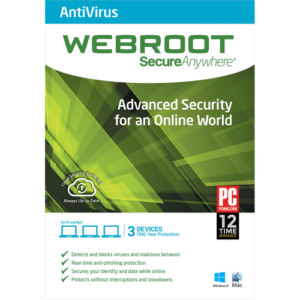 Webroot SecureAnywhere Complete cloud security provides powerful protection from online threats for PCs, Macs, Android™ and iOS® smartphones and tablets keeping you safe no matter how or where you connect. It scans faster, uses fewer system resources, and protects you in real time by instantly identifying and blocking new threats as soon as they appear. 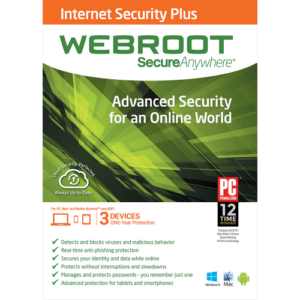 Webroot Internet Security Complete identifies unsafe links and search results before you click, protects and manages your passwords and logins, and pre-fills online forms. Finally, Webroot automatically backs up photos and files with 25GB of online storage space you can access from all your devices. 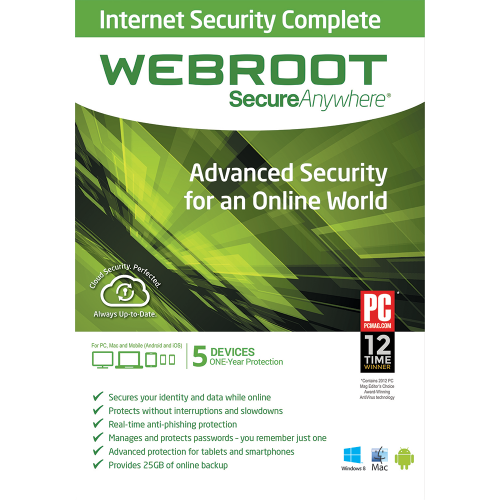 Webroot Internet Security Complete protects you from online threats keeping you safe no matter how or where you connect. 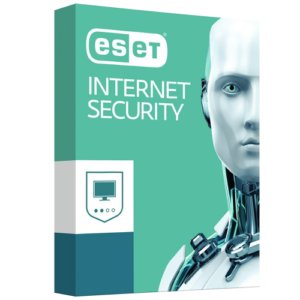 It scans faster, uses fewer system resources, and protects you by instantly identifying and blocking new threats as soon as they appear. Scans in less than two minutes! Protects up to 5 devices and lets you lets your manage security on all your devices from anywhere through one simple interface.